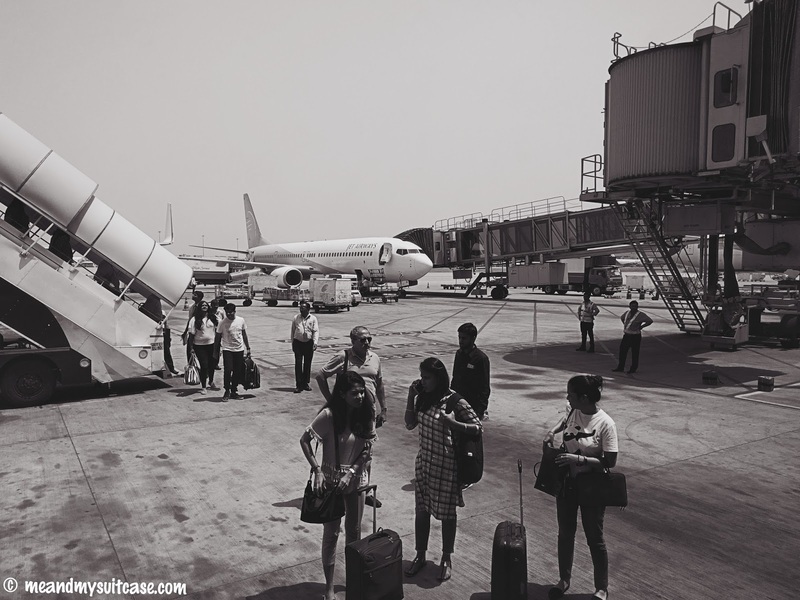 What happens when you travel business class for the first time? The anticipation of the economy class traveler, "Exactly what's behind those curtains?" to the excitement, "Wow! I will now be sitting on the other side of those curtains" is quite a stirring emotional journey. 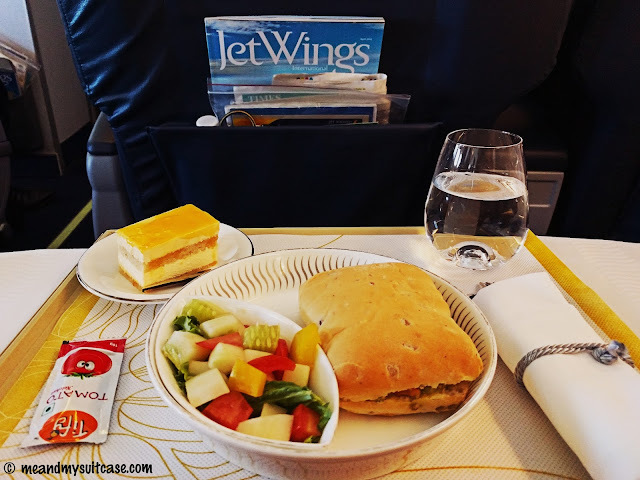 I recently got to fly Business class with Jet Airways and it was my first, an invigorating start to my day. After the call from the airlines, I went straight in to the cabin. 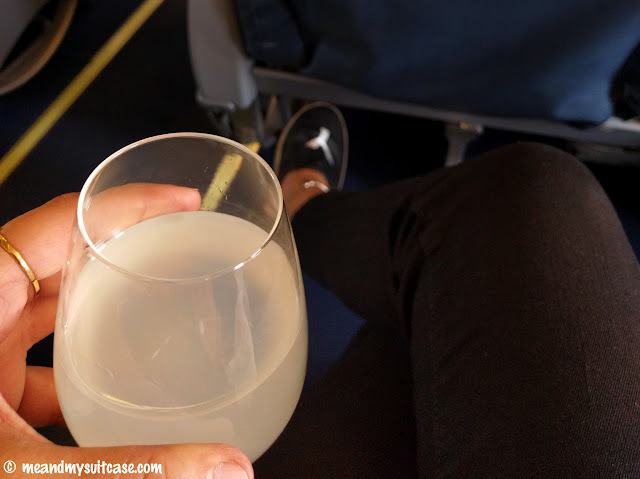 Soon I was seated on my huge, comfortable, cushy true-blue seat and enjoying my welcome drink. I could choose from watermelon and lemon water and if needed could take more again, I chose the latter. Freshly made, it managed to quench my thirst. Soon, wet towels were provided for a soothing start to the journey. They were scented and felt good on my skin after a long morning which I had spent in travelling from home to the airport. 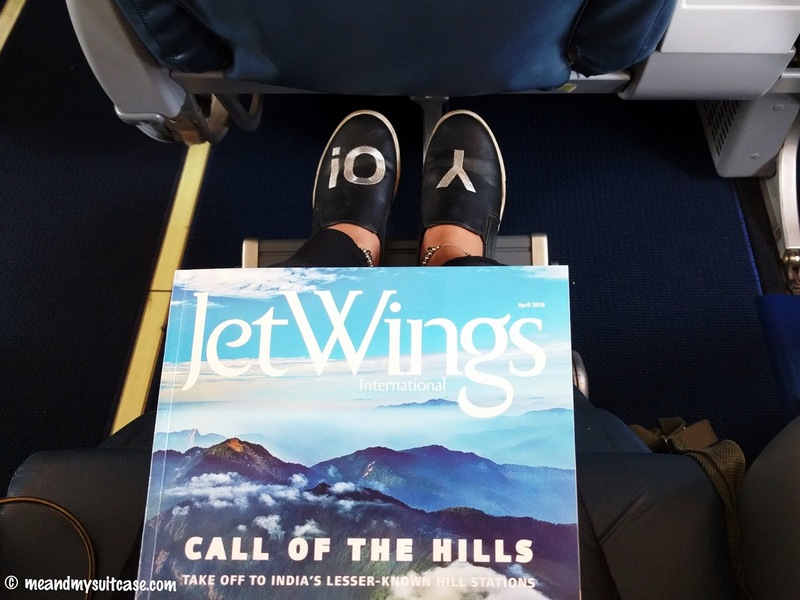 After a while air hostess came with a tray with latest issues of 5-6 different magazines, I chose Jet Wings for the cover page was humming "call of the hills" and I have always found myself to be a mountain girl. As I started to turn the pages, I chanced upon stories of India's many "lesser known hill stations" and Jet Wings became my lovely, talkative co-passenger for the rest of the journey. I couldn't leave it down till air hostess came with the menu. With 2 course meal, the menu had 3 main course options, 1 non-veg, 1 veg and 1 healthy veg; 1 luxurious dessert and 4 options in beverages. The lunch was served within 10 to 15 minutes. I wasn't expecting the real cutlery and crockery. A table mat was spread first on which server placed my food served in class crockery. The presentation was great. Water was also served in classic glassware. Post main course the hostess replaced my tray with the dessert, it was scrumptious mango flavored cheese cake with a chocolate topping. It was a filling meal. Post lunch I was served with hot tea. All in all, the meal was super amazing. The seats were really comfortable, sitting on aisle seat of the 2 seater each side, I put on my Bose Headphones, asked for a blanket, reclined my seat a bit more (much more than what's allowed in economy) and dozed off resting my back with the help of additional extra soft yet sturdy cushion, the foot rest was adjustable too and my seat became my mini comforting bed. It was First In First Out. Of course business class is given preference. I had got my seat first seeing everyone entering, their action and reactions, exploring the amenities offered in business class and trying to gauge the deal business class was offering. Later, without waiting for anyone, I was among the first 12 to leave the craft. With a hearty good bye, the staff bid adieu to us and got ready for their next rendezvous. The crew was jovial, helpful and very attentive, adorned in yellow color attire contrasting the blue seats of cabin they was cheerful as well, complementing all the colors on board. 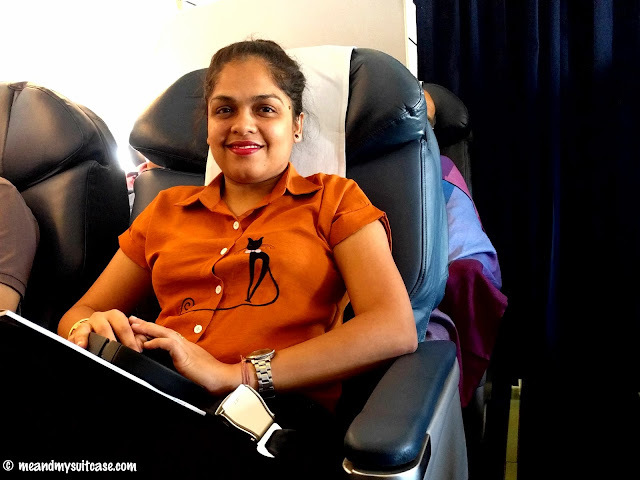 When I asked Sushmita, the air hostess to take my picture, she obliged happily. She even offered to take more pictures if it doesn't come well. 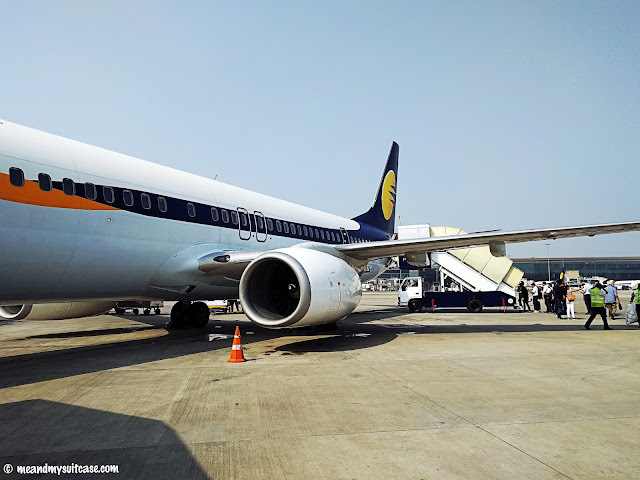 I was flying business class in Jet Airways - domestic. Although it is equipped with limited amenities, it was still a great first experience; royal and soothing. I didn't want my journey to be over soon but somehow 2 hrs 15 minutes just flew away. This post is not sponsored nor was my trip. It was indeed a business trip. All thoughts are mine and as always true. It is my responsibility to show you the right picture. Business class is a different feeling altogether. Didn't know Jet Airways offered such services. You get so many privileges just coz you are flying business. I hope to explore Business class of Jet Airways soon. Business class means always feel special like a king and the special treatment like foods and mag. Amazing girl. Loved to read your post. Since you're flying business class, they should allow you to sleep an extra hour and exit at the last no? Naah..Who would want to sleep through the commotion and chitter chatter of passengers leaving. FIFO is better. Wow! Always wanted to know what's the difference in Business Class. Thanks for sharing your experience with us. But I've felt that for domestic travel in India business class is largely wasted. I am not sure, don't have any other experience to really compare it to.